This EAPN explainer explains what minimum income schemes are at present throughout the EU and how and why minimum income schemes should be "adequate", i.e. for everyone to live a dignified life, as EU Member States had already committed to ensure in... 1992. 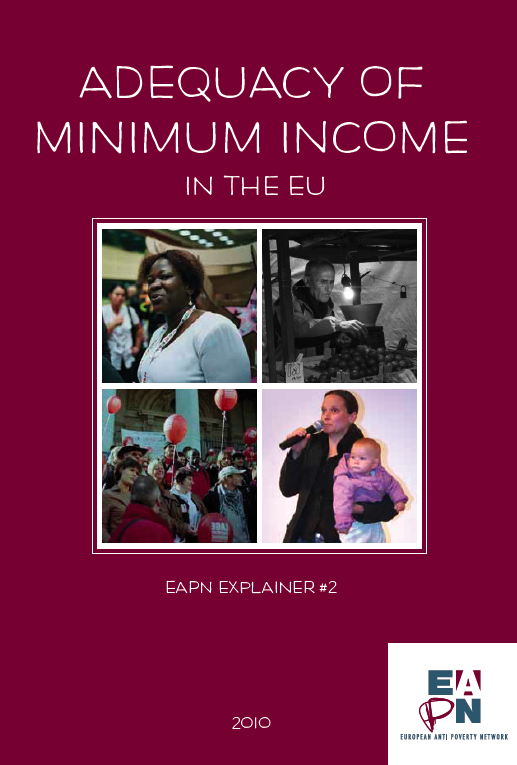 Adequacy of Minimum Income in the EU is the 2nd in a series of EAPN booklets called Explainers, which set out to “explain” key issues and debates, which are priorities within the EU poverty discourse, in understandable,everyday language. They are aimed primarily at people working in civil society organizations, but also to anybody who is concerned with how to make progress on reducing poverty and social exclusion in the EU. This series of Explainers are part of EAPN awareness-raising activities for the 2010 European Year for combating poverty and social exclusion.